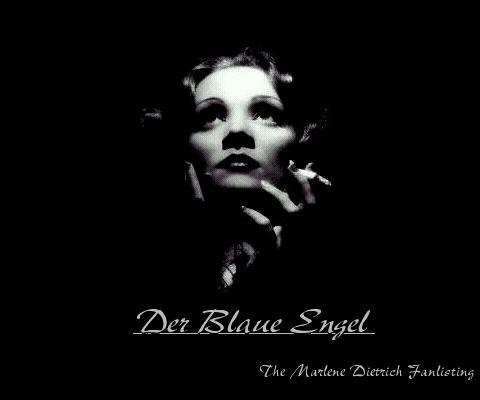 Welcome to 'Der Blaue Engel' ~ The Fanlisting for Marlene Dietrich, listed at the Fanlisting Network . If you are not sure what a Fanlisting is, or want to know a little bit more about Marlene Dietrich, have a look through the About section. As of April 2015 there is an issue with the forms on this fanlisting. They may, or may not work as desired. If you wish to join this fanlisting, update your information or have just have a chat please e-mail me or fill out my contact form. I'm sorry for this temporary inconvenience. Thank you for your understanding. Opened on 15th June 2005. An Enamoured fanlisting - Inamorata Presentations.